One thing I remember, actually, at some point or other, you and Lucien and Kerouac got me on a couch and took down my pants. [laughing] ’Cause I … It was thrilling, and I got a hard-on, I remember. I was ashamed. Because it was Lucien there. On the couch, in front of the window. Yes. I know where the couch was. Typical railroad apartment, where they usually had the bathtub in the kitchen. Yeah, I had one there. Actually, I ran into a girl who’s living there now who keeps inviting me to come back and see it. Sonic Youth is a rock group. She’s one of the singer friends of theirs. … fantasy with you and … looking out the window, and you saw a neighbor lady lean out with a very intense expression and pull in the laundry and the laundry line. You remember that? No. But I know now about those laundry lines. I remember you looked out of the window and then were impressed by the expression of the woman’s face, ’cause … if you could look up a minute … she leaned out like that only, you know, with a great intensity of expression and extending her body out pulling … with her hand out grasping. Now do you have any visual memory of that outside of the window at all, the laundry lines? No, but I know I can see … the laundry lines are a feature of those apartments, and their laundry’s on the balcony. You’ll find that in … balcony … in sort of, slums all over the world. Naples. I was thinking of that. Naples and Marseille and all kinds of places. You can actually see the laundry line … those specific laundry lines. Did you ever notice that in that photo? It takes a very good printer to get them because it was very faint … sky. 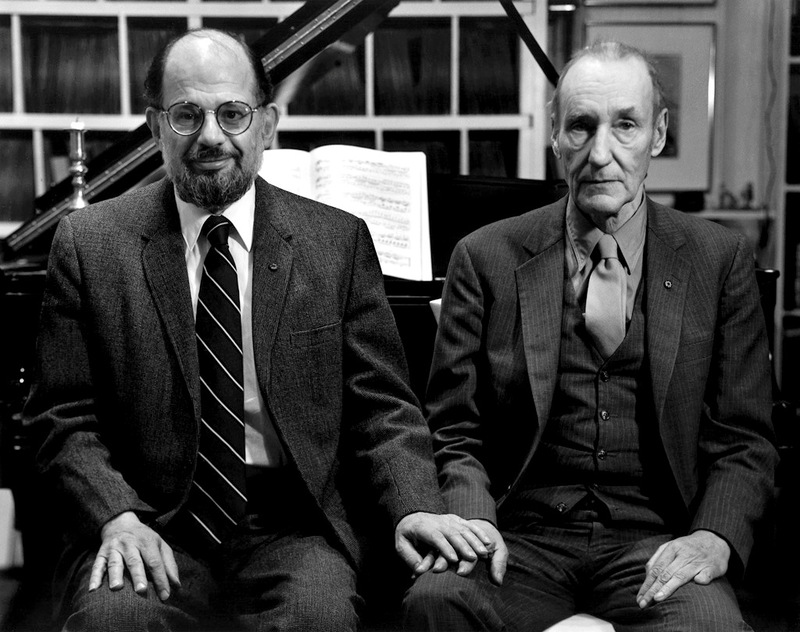 Read William S. Burroughs’s and Allen Ginsberg’s Writers at Work interviews. Excerpted from Don’t Hide the Madness: William S. Burroughs in Conversation with Allen Ginsberg, edited by Steven Taylor. Reprinted with the permission of Three Rooms Press.